Exciting developments are occurring both in our firm and in the law which we would like to share with you. 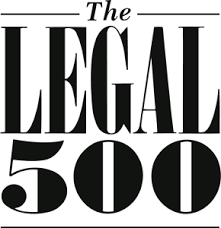 Pointon Partners Lawyers have been recognised and awarded by The Legal 500 as a leading firm for the 2018 year, which is a proud achievement for us all. We have included above a picture of the Pointon Partners team so that you may be able to put a face to the team members you have been dealing with. Details of each team member will shortly be available on our soon to be launched new website. We also take this opportunity to introduce two new members of our team. Matthew has joined our firm as a director. Matthew’s core practice is land and building law. For over a decade, he has been involved in advising and acting for clients in matters involving difficult concepts and factual backgrounds which have enabled him to hone his expertise in land related dispute resolution and he has leading expertise in these areas. Problems arising from noise to fencing and boundary disputes and to issues affecting land owners due to property development by others and also adverse possession defence and claims. To find out more about Matthew’s practice, please Click Here. If you or someone you know is affected by these issues, feel free to contact Matthew for a friendly discussion on your best approach. Matthew is a family man who enjoys dining out around Melbourne and a good book. Jim has practiced since 1975 and is a well-known and respected practitioner. He specialises in commercial disputes, insolvency, corporation law, Wills, probate disputes, and administrative law. He appears as counsel before all State and Federal Courts, at disciplinary enquiries of statutory authorities, and at VCAT. He is a member of the Administrative Law, Health Law, Mediation and Tort Law Commissions of the International Association of Lawyers (UIA). He is an office bearer of UIA, and was a member of the Governing Board 2000-2008. To find out more about Jim’s practice, please Click Here. If you or someone you know is affected by these issues, feel free to contact Jim for a friendly discussion on your best approach. Jim is an avid reader and always up for a chat about his favourite books. We have highlighted recent updates in area’s of law that we practice that may be of interest. Note that there are many other articles that you can explore on the website and also each area of law has a separate email subscription to which you may subscribe by contacting us. Feel free to call your Pointon Partners contact to discuss these matters or any other legal issues you may have. Ipso Facto Amendments: Do they apply to existing contracts? What is “Protection Work” under the Building Act 1993 (Vic)? Vacant Residential Land Tax – Do you need to notify the State Revenue Office?